You are currently browsing the tag archive for the ‘Sam Bowring’ tag. I’d never heard of Sam Bowring before this book crossed my desk, although he’s an experienced Australian writer; and I can only say that I was clearly missing out. This is an extremely good novel, which drew me in quickly and held my attention. It’s the first in a trilogy, and I’m looking forward to reading the remaining books. Although Bowring writes with a relaxed style that makes it easy to devour the novel, there’s quite a lot of depth to this. Obviously, a certain amount of the novel is spent on set-up. 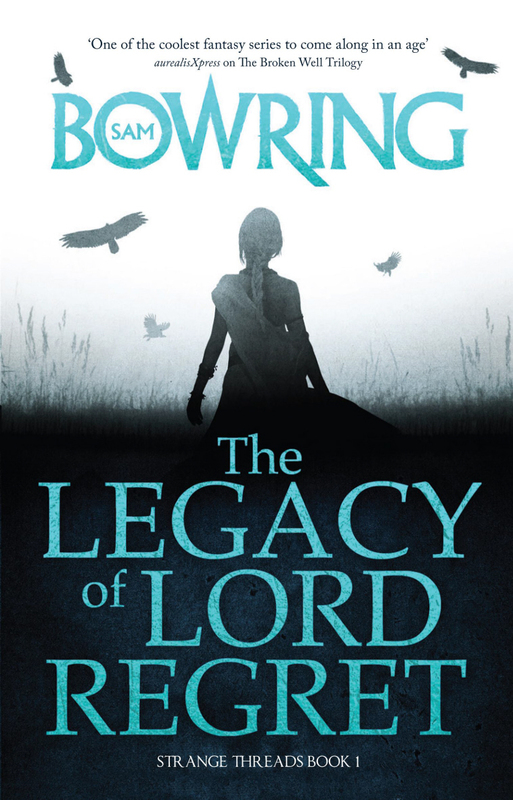 Bowring weaves the history in quite cleverly and provides an eventful novel while still leaving a lot to be addressed in books two and three. Rostigan is a wandering warrior – not exactly a mercenary, as he seeks only enough money to keep himself and his companion, the Minstrel Tarzi. He will undertake ridiculously dangerous tasks for no better reason than that someone should help. It soon becomes clear to the reader that this isn’t the only thing that differentiates him from other mercenaries – he’s also one of the legendary Wardens. Centuries ago, these Wardens saved the world by destroying Lord Regret and his rogue magic. In destroying Lord Regret, each of the Wardens took on some of his magic. Some were turned towards their baser instincts and wreaked havoc on the world; others responded to better instincts and brought good. Eventually, the Wardens disappeared or died, sometimes at the hands of each other. The better among them are still revered as saints. Having achieved his objective at Holdwith, Losara and his army abandon it and heads to the mines. Bel, learning of this races there leaving Jaya behind but arrives too late. Losara moves on and Bel is determined to get there ahead of him. Corlas is at Whisperwood, gathering a sprite army to defend and rescue his reborn son while Battu works with Fahren, once enemies, now joined together in single task. Bel longs to be reunited with his lost half so light can win but Losara has another fate in mind. The world that caught my attention in Prophecy’s Ruin failed to hook or hold my attention with this story. 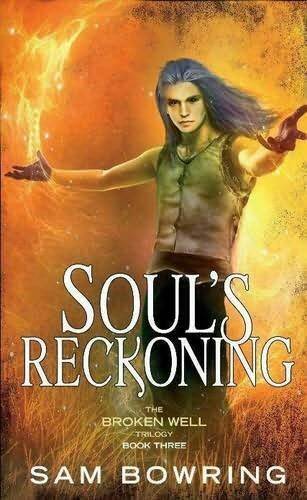 Soul’s Reckoning is little more than one very extended battle scene pockmarked with romance and later on one long debate between Bel and Losara about who is the better person. After returning to Skygrip from killing the Throne Naphur, Losara must face Battu or risk the Shadow’s victory against the Light. But Battu escapes and Losara must find him before Battu can take his revenge, that is if Losara doesn’t get sidetracked. Bel has told Jaya everything and on the morning of Naphur’s funeral he makes a rash decision to undo the spell that hides his blue hair. Allowed to be himself, Bel put Fahren on the Throne instead of the heir Thedd Naphur, angering many but none of them dare defy the Sungod’s will. Then Bel and Fehran receive a lead on where the Stone of Evenings Mild might be and Bel set out with companions to find it. But a third path has appeared, one that with the help of Corlas might deny both Shadow and Light victory and heal the broken well. Although this is a story I enjoyed I found that at the end of it, it felt like little more than the next section of a book rather than a complete story in it’s own right, building towards a larger story. Basically, this story wasn’t enough to satisfy me. I wanted more from this story and although there are several different goals/games going on, this is a story capapble of taking in a much wider scope than it does. At it’s core, it’s a battle between light and dark but one where the third path is found. Yet, when compared to The Lord of the Rings it feels like decorated tissue paper being compared to a richly woven rug. In essence they’re both about a battle between light and dark but The Broken Well Trilogy (so far at least) lacks the depth and breadth that LOTR has, and given Sam Bowring’s world it is possible for this story, if it had of been pushed and developed further, to have a similar scope. Consequently it would have been a story I would highly recommend, but as it is, I cannot do that. I have enjoyed, but it isn’t a book I instantly want to reread or one that I relish.